Champaign, Ill. – 212 East, the University of Illinois’ newest, design-centric, pedestrian-oriented student housing community is now open for Fall 2017 and moving in residents. XFD Real Estate Partners partnered with Lewis & Clark Real Estate, a St. Louis-based real estate investment firm, to develop the contemporary student community which completed construction in July 2017. The community offers students a state-of-the-art fitness center (one of the largest near UIUC), private and group study rooms with digital displays for presentations, as well as a coffee bar and lounge. 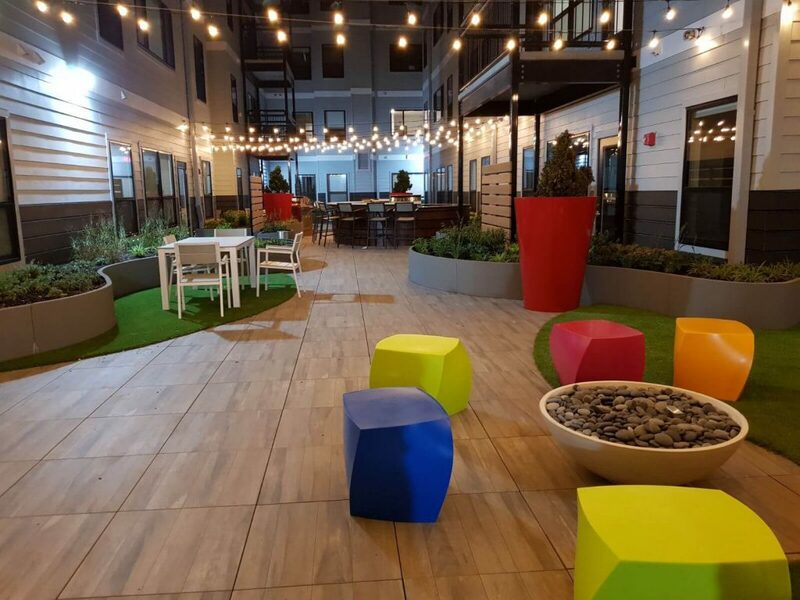 The building also has a chic courtyard in its center, which makes for the perfect indoor/outdoor space, whether students just want to relax or entertain guests at one of the multiple grill or lounging areas. “XFD is proud of what we have been able to create at 212 East,” said Mtunga. “We are a small shop with an institutional approach and I believe 212 East validates our ability to compete head to head with established national brands. 212 East was delivered early and on-budget to an overwhelmingly positive response from the market during our construction year, despite being at the tail end of a recent delivery rush at UIUC”. 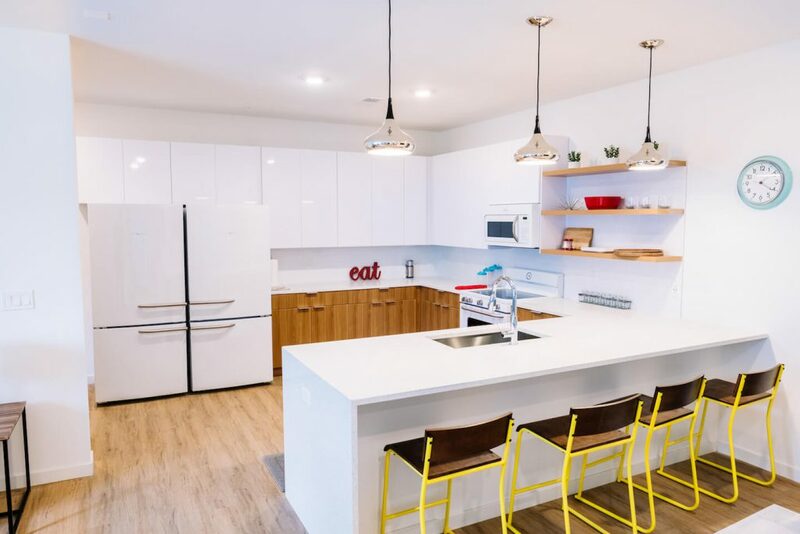 212 East is located less than half a mile from the student union, in the heart of Campustown and its restaurants and nightlife, and is a short walk from grocery shopping and classrooms. For more information about 212 East and to schedule a tour, please visit http://www.firstcolumnliving.com/east-212 or in-person at 212 E. Green St.
XFD Real Estate Partners is a Chicago-based real estate investment and property management firm specializing in the development, acquisition and operation of purpose-built off-campus student housing properties. XFD takes an opportunistic approach to investment and focuses on assets that offer attractive operational value-creation opportunities. For more information, visit www.xfdre.com. Lewis & Clark Real Estate and its sister company IronRock Investments, serve as equity partners on senior, student and other real estate developments, and are investors in federal and state tax credits. Lewis & Clark Real Estate puts its capital to work to create innovative housing, preserve historic structures, and expand renewable energy throughout the United States. For more information, visit http://lac-realestate.com/.